We are grateful to Dr. Ursula Fischer Pace for confirming the attribution on the basis of photographs. 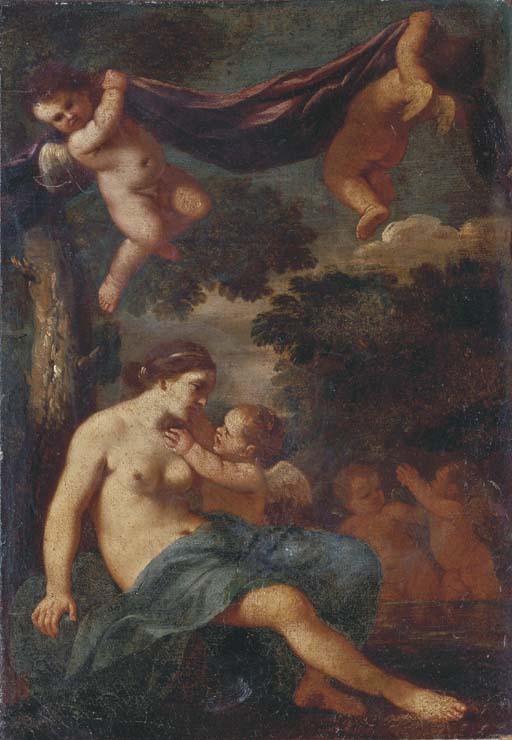 She considers this a typical work from the 1650s, bearing comparison with a series of twenty-five pictures of Classical and Biblical themes that Gimignani painted for the Palazzo Rospigliosi in his native Pistoia (see for example Venus and Adonis, in the catalogue of the exhibition, Pietro da Cortona 1597-1669, Palazzo Venezia, Rome, October 1997-February 1998, p. 209, fig. 176). Gimignani worked under Pietro da Cortona for the Barberini in Rome during the early 1630s; he was also receptive to the refined mythologies of Poussin, and the more austere classicism of Domenichino and Sacchi. Gimignani developed an individual classicist style of his own combining an intense use of colour and painterly surfaces with balanced, harmonious compositions.